Tom Gallant has served US Airways as a Flight Attendant for over 30 years. He has displayed this same measure of dedication to the citizens of Findlay Township where he serves as Chairman of the Board of Supervisors. After learning about Heroes Supporting Heroes in 2013, Tom was intrigued and began to offer support and counsel to John and Sheri Lee as they developed the organization. 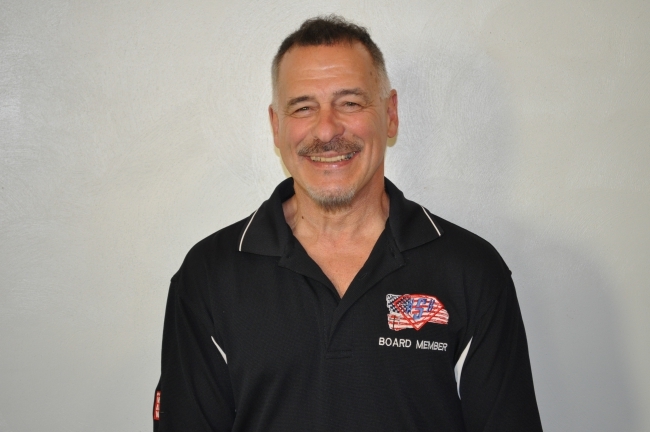 He transitioned into a more formal role as a Board Member, provide additional insight into developing this Non-profit organization called Heroes Supporting Heroes, and has been instrumental into the expansion of services for Senior Citizens as well. Tom and his wife Mary have been married for 33 years. Tom’s involvement with the community continues in many areas. He serves as Lector in St. Columbkille Chuch and also serves as the Tournament Director for the Findlay Athletic Association. With all of this involvement, Tom and Mary have been been blessed with a growing family too. Their family of five consists of four (4) adult children and one still in West Allegheny School. If you give Tom a moment, he will brag about his wonderful granddaughter too! Tom seems to thrive on staying involved in many ways. He also looks forward to the community impact that the West Allegheny Workcamp will have on the residents of Findlay Township, and the surrounding communities as well!